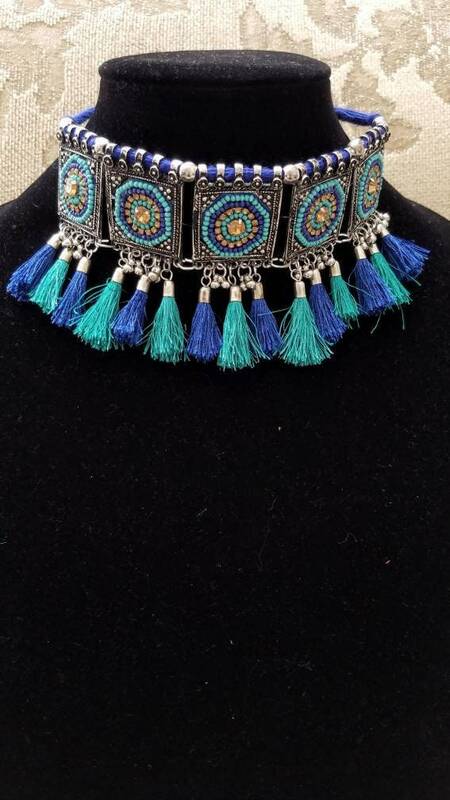 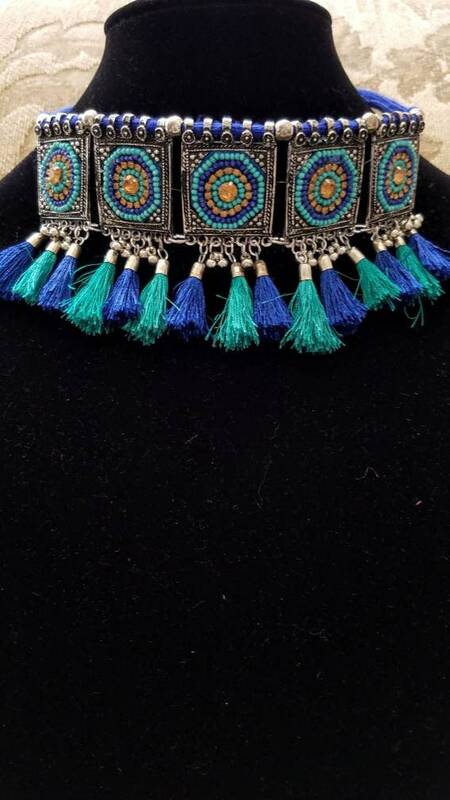 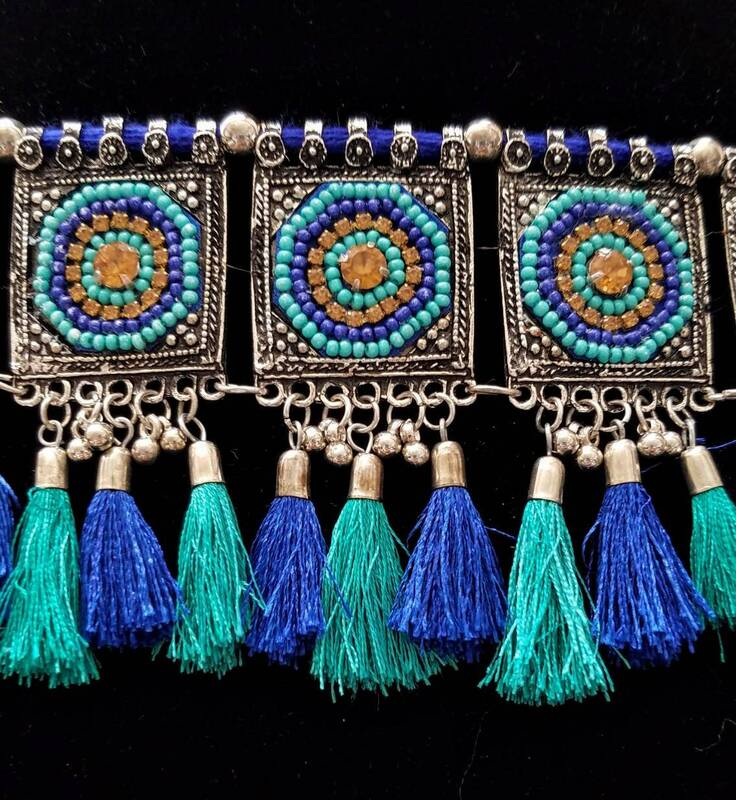 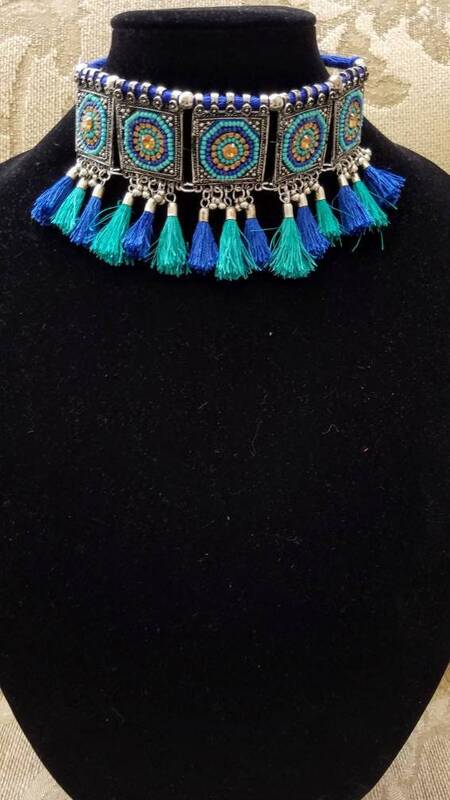 Hand crafted blue and green boho tassel choker in oxidized silver color, so as to create the patina of a vintage piece. 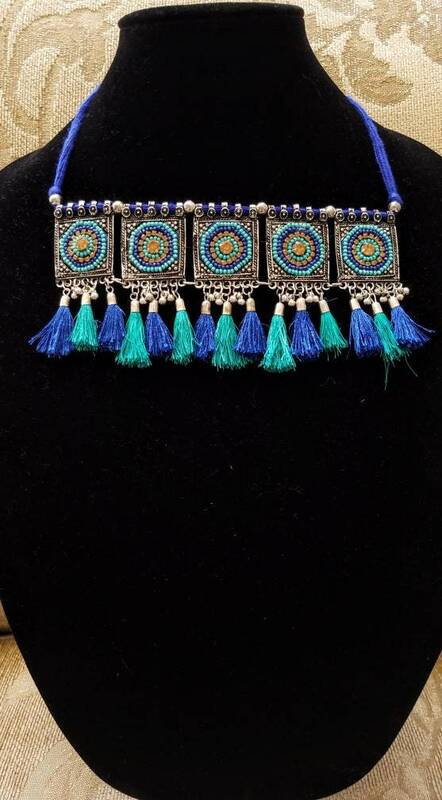 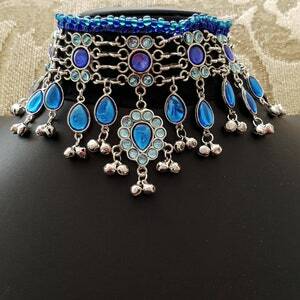 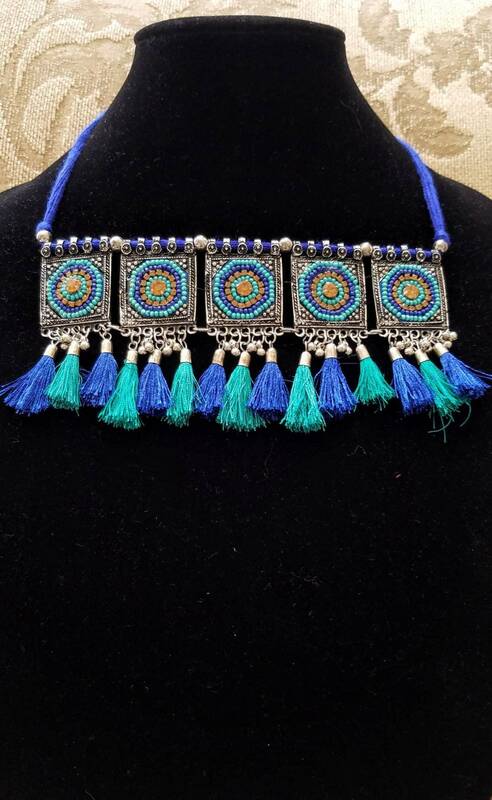 Each medallion is made of fresh colored beads in a cobalt blue and a teal color, accented with faceted crystals in an antique gold color. 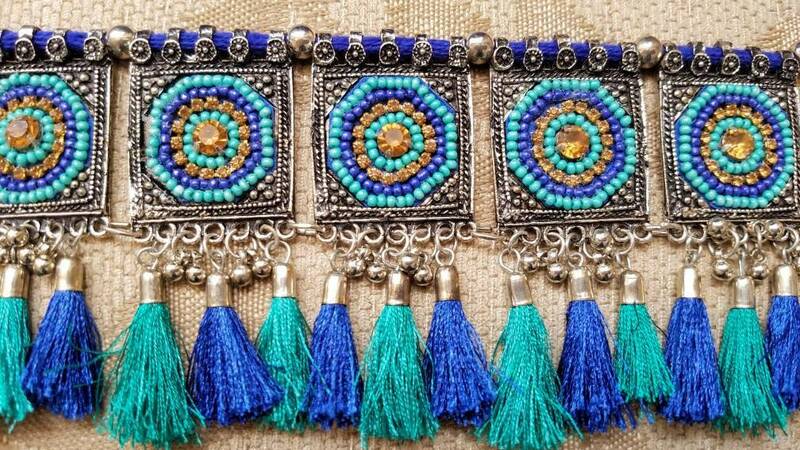 Super cute dangling tassels in high quality cotton add interest and movement. 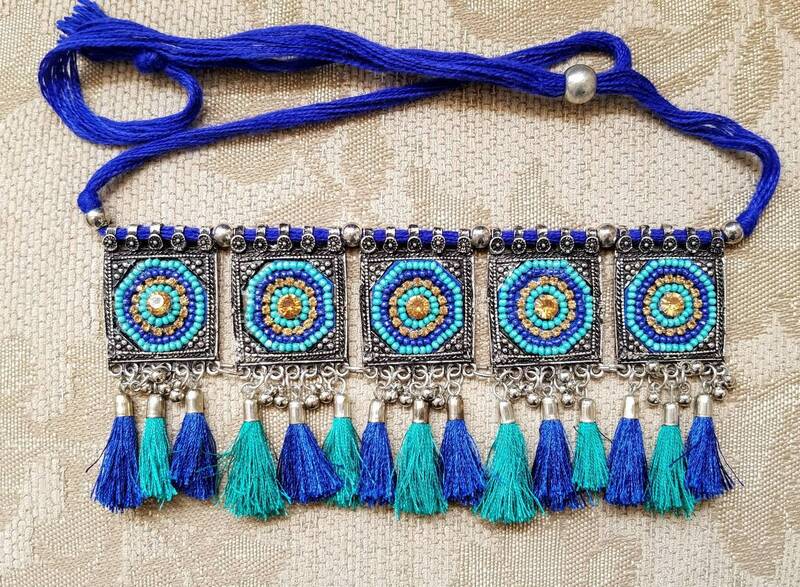 Adjustable length with sliding knot on a cotton cord, to ensure a perfect fit for you. 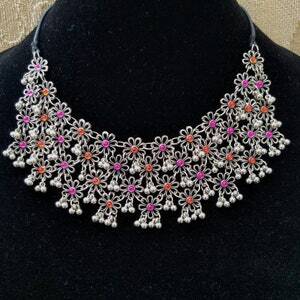 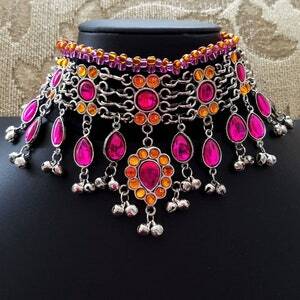 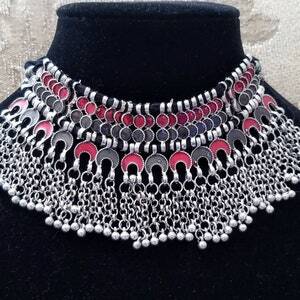 Perfect for summer, with open neck tops or tank tops. 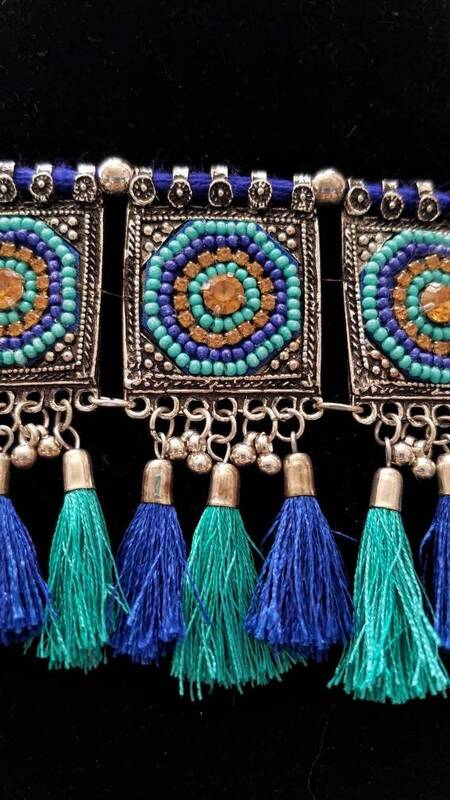 Find your inner wild child!